Generally, it seems like you discover your printer isn’t working correctly when it’s time to print an important document. In most cases, though, printer issues can be resolved quickly. Make sure the wireless option is turned on and available. There is often a wireless icon that appears on the printer when the wireless connection option is available. Run a connectivity test. Check the instructions that came with your printer or the manufacturer’s website. You can also download the printing troubleshooter from support.microsoft.com. Using the troubleshooter can fix problems that occur when connecting or installing a printer. 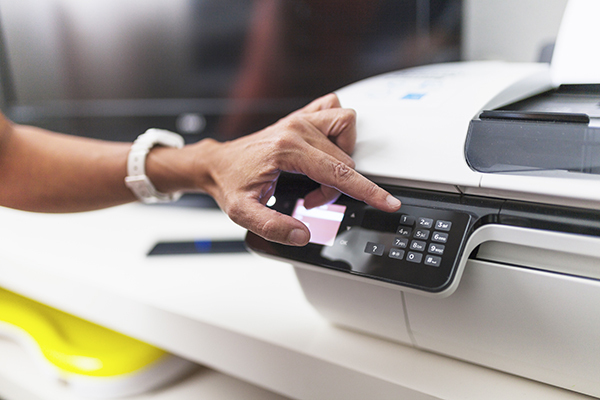 If the troubleshooter isn’t helpful, your printer’s drivers may need to be updated. Most printers require software to work and occasionally that software needs an update to work properly with your operating system. Drivers can also become damaged due to power outages, viruses or other issues. According to Microsoft, there are three ways to get the latest driver. Press and hold (or right-click) the Start button, then select Device Manager. You might be asked for an admin password or to confirm your choice. Expand Printers, find your printer in the list, press and hold (or right-click) it, and then select Update driver. Download and install the driver yourself.If Windows Update can’t find a driver for your printer, and the printer didn’t come with software that installs a driver, check the manufacturer’s website. Driver updates are often available in the support section of such websites. Locate and download the latest driver for your printer, then follow the driver installation instructions on the website. Press and hold (or right-click) the Startbutton, then select Device Manager. You might be asked for an admin password or to confirm your choice. Select Browse my computer for driver software,browse to the location where you downloaded the driver software, and then select Next. You might be asked for an admin password or to confirm your choice. Find the printer in the list under Printers & scanners for the printer. If it is present, select it, and then select Remove device. Select All Printers, find your printer in the list, press and hold (or right-click it), and then select Delete. Reconnect your printer’s cable to your PC and try installing the software and driver again. If your printer still doesn’t work, it may be time to restart the printer’s spooler service. The print spooler is a file that manages the printing process. Sometimes these spoolers need to be cleared. In the taskbar search box type %WINDIR%\system32\spool\printers, then select the file folder and delete all the files within it. If you continue to experience printer issues, give us a call at 308-534-1500. Previous Should you upgrade your computer or buy a new one?